TechPro Security Products is the one of the top Retail Security Systems company specializing in all CCTV Installation Services. Located in Boca Raton, FL, TechPro Security offers a variety of services throughout our South Florida region. We are able to address any private residential or commercial business needs, whether you are in the market for a home or even retail security systems. We boast cost-efficient tactics for your continued security monitoring needs. TechPro Security Products proudly serves a large variety of business and industries in need of Retail Security Systems or other types of surveillance systems. Our services have been utilized for warehouse security, car dealership security, commercial and business security, continued grocery and convenient store surveillance monitoring, HOA security, and marina security as well. TechPro Security Products delivers a thorough security solution for everything from large corporations to small residences. They also meet all retail security systems needs for the variety of businesses found throughout the community. Always cost-efficient and highly reliable, TechPro Security designs and creates their own surveillance product lineup. Due to our central location setting, TechPro Security Products can be depended on for their quick and efficient service without taking on the added cost of extra salesmen unassociated with TechPro Security Products CCTV Installation Company. Our team of experienced retail security systems technicians and their collective knowledge of CCTV installation provides the perfect combination of the most up-to-date method for security and surveillance. The added benefit of our cost-efficiency is just one less expense our customers have to trouble over, so they may keep their mind on their business and not on product loss. Our store has an extensive selection of security cameras and any related surveillance product to ensure you get the most from your retail security systems. No matter what business is in need for retail security systems, TechPro Security can customize your surveillance plan to give you full coverage over your location. There is no shortage of variety in South Florida of clothing, grocery, convenient, etc. stores that utilize retail security systems and an accompanying plan for full control to access and around the clock remote video monitoring, guaranteeing full protection. Contact our team of professional security technicians for an accurate estimate on the costs of installing a new security system for full retail property protection. TechPro Security provides personalized, custom packages for retail security systems that include installation and expert advise on full utilizing your surveillance system for complete protection. Employing only the best CCTV installation professionals, we strive from a total 100% guarantee in customer satisfaction for all of our clients. As a team, every member at TechPro Security firmly believes in our ability to achieve this and represents our company as a whole by accomplishing just that. Our team at TechPro Security are devoted customer service representatives and technicians that are committed to sharing our experience and knowledge for all of your surveillance system needs. Contact us for an accurate estimate regarding your property size in need of retail security systems or your other security needs. 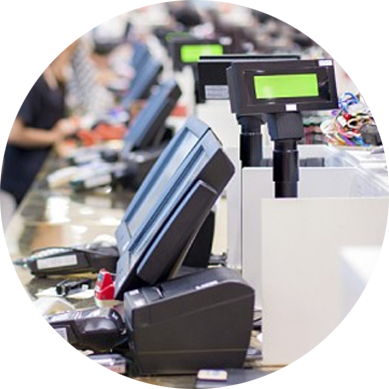 One of the greatest benefits of implementing retail security systems for your business is the decrease or absolute elimination of product loss and vandalism. With the ability to gain 24/7 access of with remote video monitoring, the addition of motion sensors is an extra method TechPro Security uses to complement your personalized surveillance system. Alerts sent to your phone or e-mail keep you in the know at all times. Protecting your local fashion business, convenient store, or a large corporation with retail security systems is priceless once you feel you have total and complete surveillance. TechPro Security was started for just this reason and continues to offer their expert surveillance knowledge and services throughout the South Florida region. Call TechPro today and allow our team’s knowledge, gained through years of service, to provide an estimate for your property. Remaining on the best in the CCTV Installation industry is largely due to our hard work and guaranteed security camera installation techniques.